Please click here to book an appointment and indicate your full name, contact number and information on the burial site. Accommodation and travel expenses will have to be borne by clients for overseas engagements. Master Sanna will only recommend sites that are in the client's best interests. We respect our client's wishes, although it is also important to heed our professional advice. The tombstone (headstone) and the water ways must be located at the right place and right direction in order to enhance the deceased descendants fortune and career. 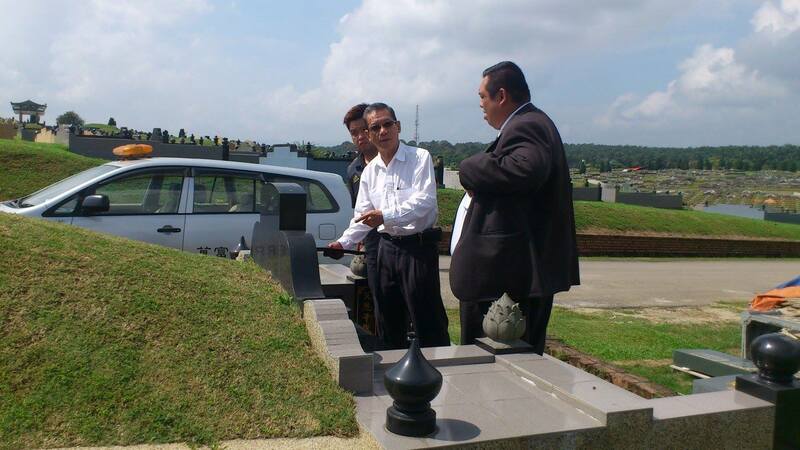 To erect the headstone (tombstone) and to ensure that the deceased's descendants will be blessed with better health and fortune, an auspicious date and time will be chosen according to the deceased's date of birth and that of his/her children. The auspicious date and time have to be carefully chosen to erect the headstone for the best outcome and to avoid disasters. The same is applied to the waterways.